A 75 y o male with left side weakness since 3 months. A previous MRI and CT report mentions a recent ischemic lesion in right parietal white matter with restricted diffusion and was on anti coagulant therapy. 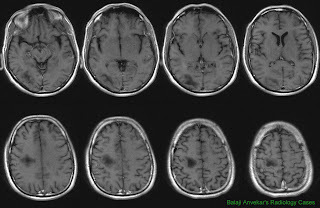 Here is follow up MRI Brain Axial T2, Diffusion and Post contrast T1. 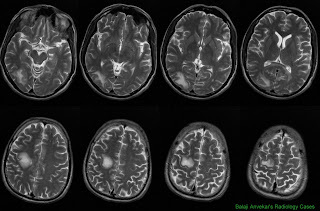 Axial T2w images show a focal patchy T2 hyper intensity in right parietal lobe white matter and in right occipital lobe white matter extending to splenium of corpus callosum and calloso septal groove. Rim of restricted diffusion on Diffusion weighted images. 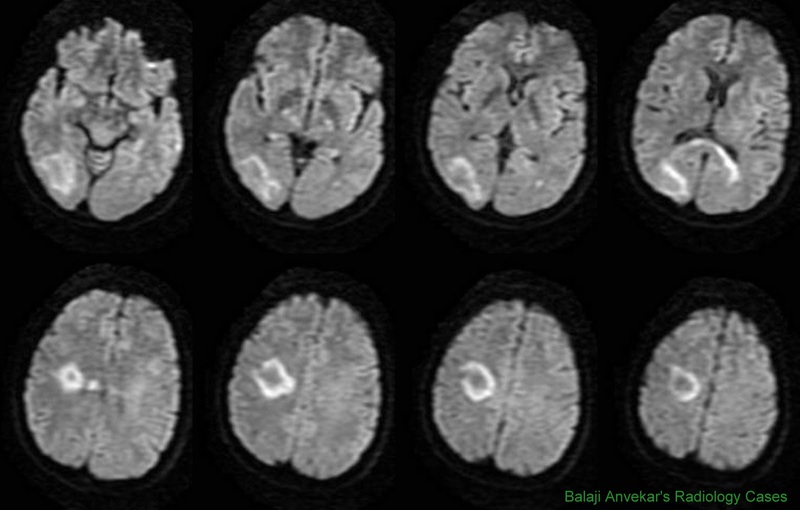 Lesion confined to white matter. Overlying cortical grey matter characteristically spared. 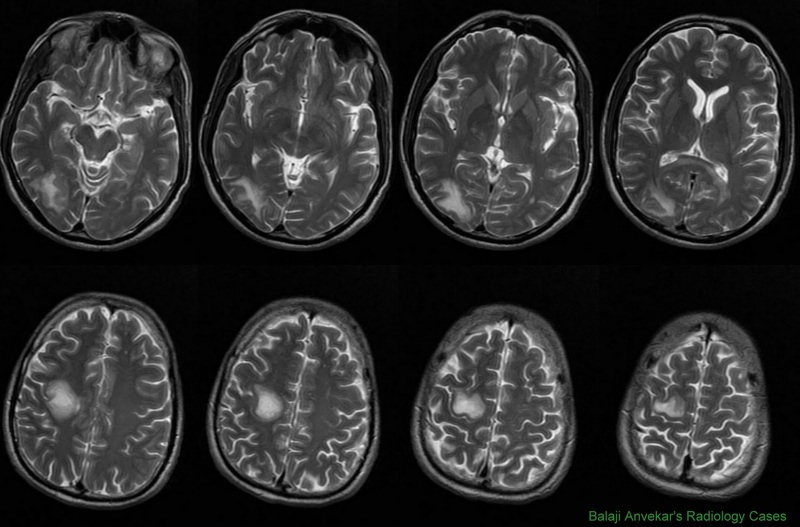 Compared to previous MRI, lesion is markedly increased in size. 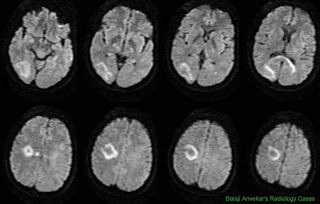 Clinically patient’s left sided weakness is progressive and worsening, now associated with complete left hemi neglect. 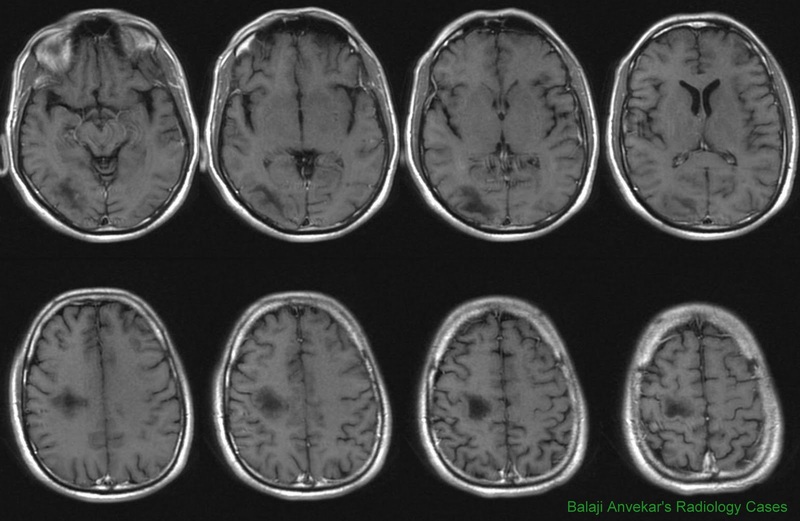 Imagingwise diagnosis suggested is tumefactive demyelination and is on steroids now.